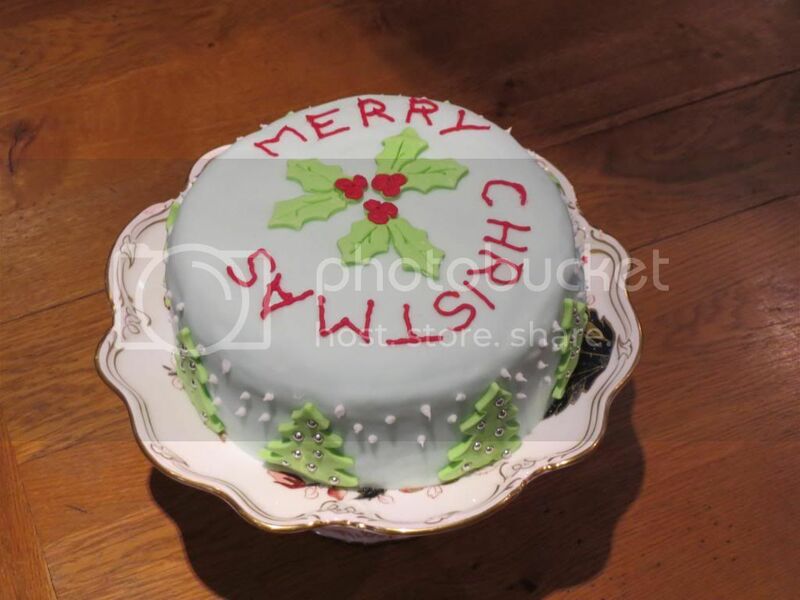 And to celebrate, here's a photo of our family Christmas cake, as decorated by my mum and I.
I mainly helped with mixing the fondant colours and mum's inspiration was from the Biscuiteers' Christmas Cake. Ours is much more simple but it looks very cute nonetheless so I'd like to congratulate my mum on a job well done! And finally, wishing you all a very Merry Christmas (and if you don't hear from me before then) a Happy New Year!